New Delhi: Nokia launched two new phones - Nokia 3.1 Plus and Nokia 8110 4G, during a program in New Delhi on Thursday. Nokia 3.1 Plus is a smartphone that comes with Android One. 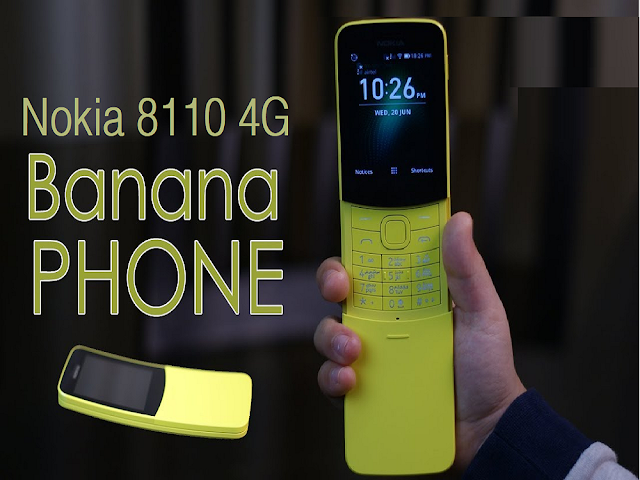 The second device - Nokia 8110 4G Reloaded, also called Banana Phone, is a part of Nokia's original series. The Nokia 3.1 Plus launch has been introduced for global customers, while other devices are specially for Indian buyers. Nokia 8110 4G will be made available at the price of Rs 5,999 in stores from October 24. The company has not yet announced the launch date of Nokia 3.1 Plus. Nokia 8110, a part of Nokia's original series, was launched earlier this year but for India it has been launched again with new features. The device works on KaiOS and comes with its trademark banana size. device is powered by Qualcomm 205 This phone will also be able to access important apps such as Google Map, Google Assistant, Facebook etc. Until now, no information has been received about the availability of WhatsApp on the phone. This device will be able to provide WiFi hotspot.